In almost perfect running conditions over 600 runners took on the Run. 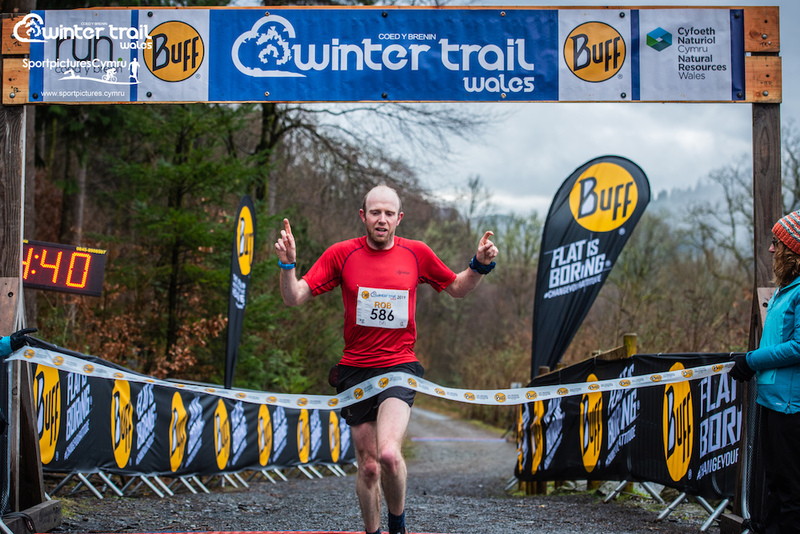 Coed y Brenin season opener, Buff Winter Trail Wales on Saturday – the fifth edition of this fast-becoming classic winter trail half marathon. The event arena at Coed y Brenin once again looked superb as the stage was set for competitors from 12 countries who toed the start line, and it was to be Welsh international and Eryri Harrier Rob Samuel and Mercia Fell Runner Rachel Parker who emerged clear male and female winners – with Samuel also breaking the winter course record on the way to his second win at this event. 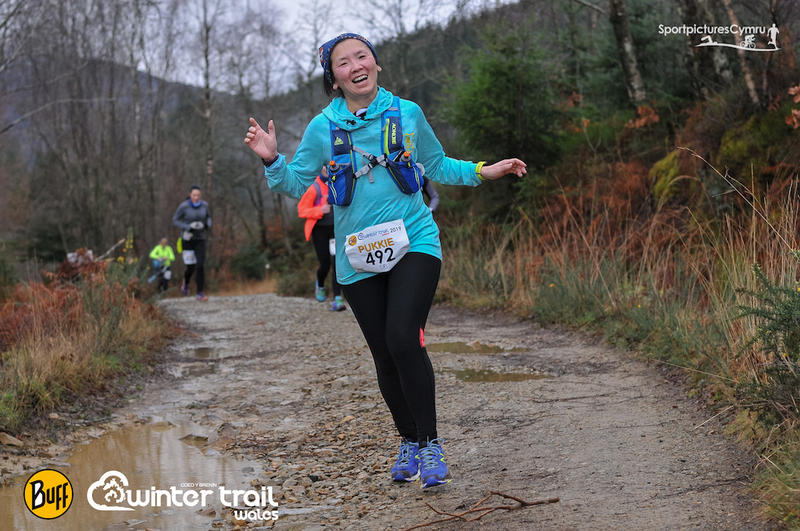 Advertised as the ‘summer’s best trail half – in winter conditions’, still, cold conditions greeted the runners, with PBs and records set to be broken across the day due to the excellent underfoot terrain for this time of year. 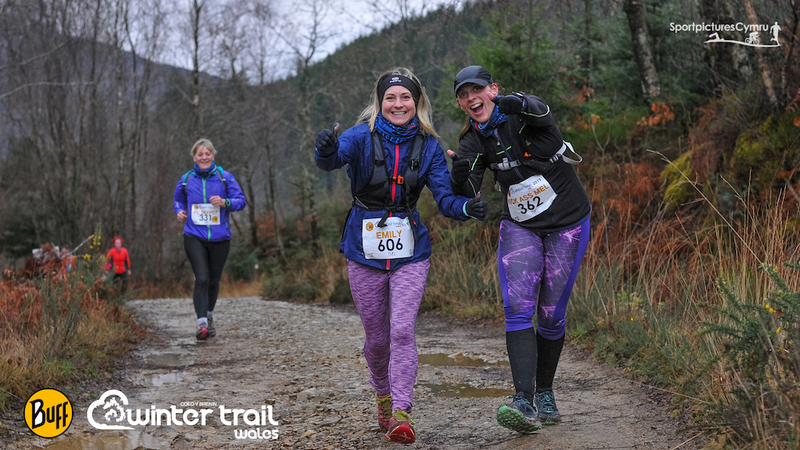 As the runners headed out at the customary 10.30am start, the air of camaraderie which is synonymous with Coed y Brenin was very apparent. Runners clapped, danced and waved their way out of the visitor centre with 13.4 miles lying ahead of them. 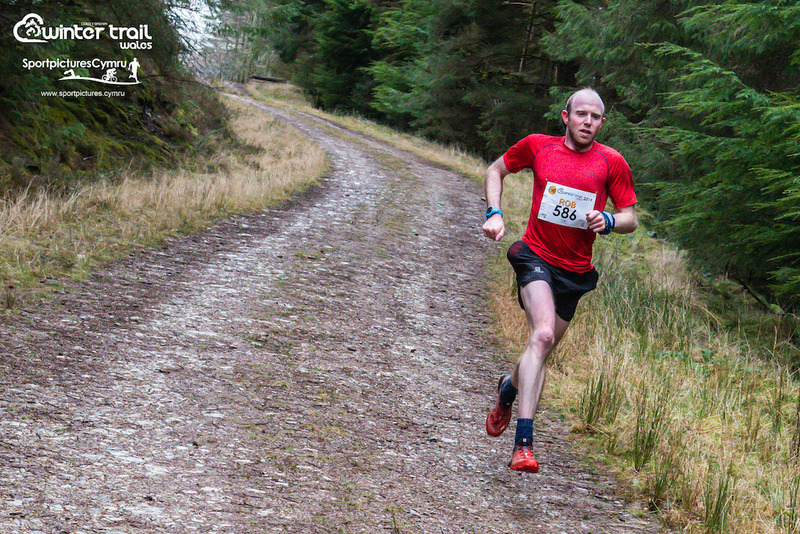 Having won the race in 2016 Rob Samuel was back again at a race he later sited as “a great start to the year and a really tough test” and started as he meant to go on, establishing a 100m lead after only 1 mile of running. Behind 2017 winner Tom Roberts, 2018 winner Alun Williams and 2018 runner-up Dave Lawson were running strongly. As the runners headed to mile 5 a clear situation had developed with Samuel leading the way from Roberts, these two well clear of Williams. The pattern of the race was pretty much set, and what was clear was that all the leading runners were running very fast. So much so that as Samuel crossed the line he had sliced over 20 seconds off the 2015 race record of Matthew Roberts, crossing the line in an incredible 1:24:40. Behind Tom Roberts showed that a recent ankle injury is well behind him with a PB on the course, cruising across the line in a fabulous 1:26:03 to take second place. 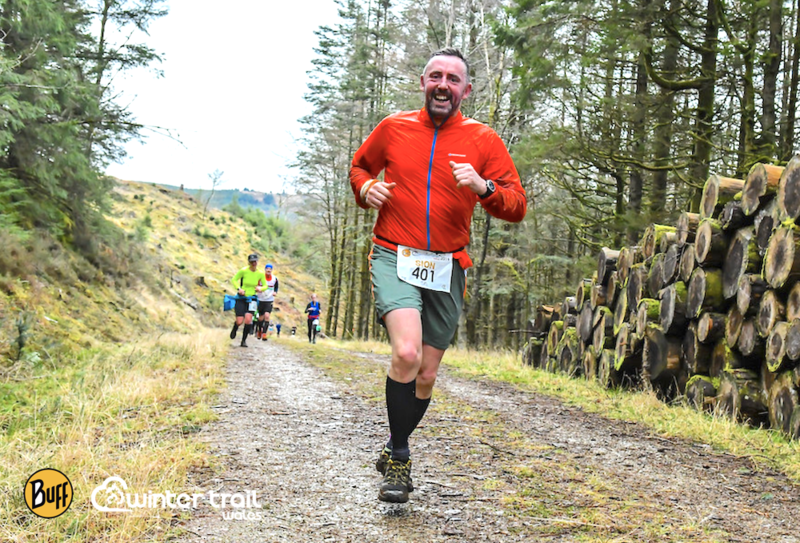 Improving still further was 2018 winner Alun Williams, as he finished off the podium in 1:28:42, a full 4 minutes faster than his winning time of 12 months ago. “That was really enjoyable today, I took it out hard and wanted to see where I am at as we start the year, so I’m really happy. 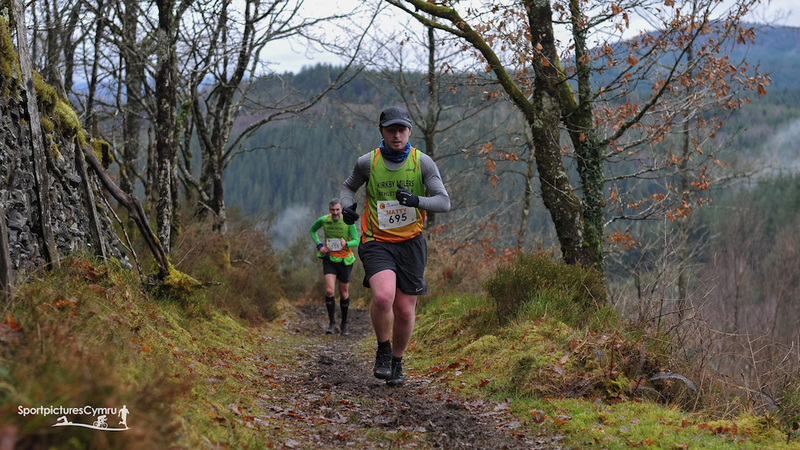 I couldn’t really relax though as I knew that with Tom and Alun behind me I was going to be pushed really hard today. 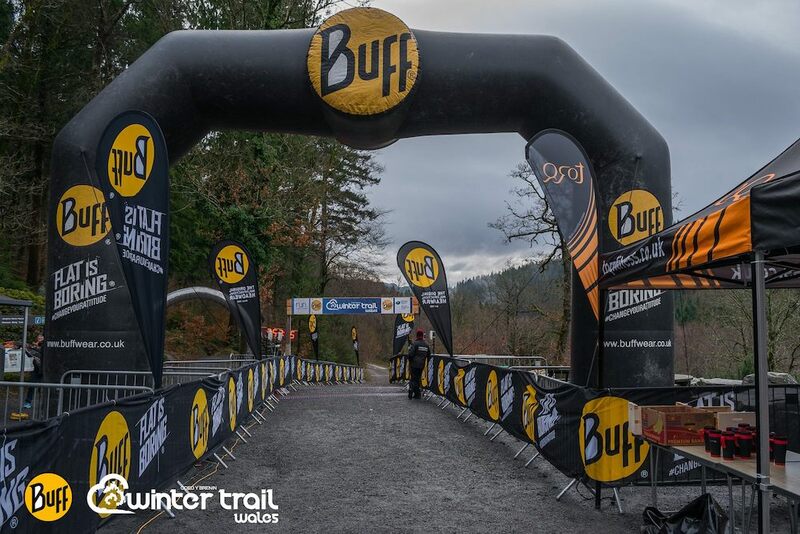 The Buff Winter Trail Wales women’s race has always been graced by some of the UK’s top trail and mountain runners, and this year was no exception. 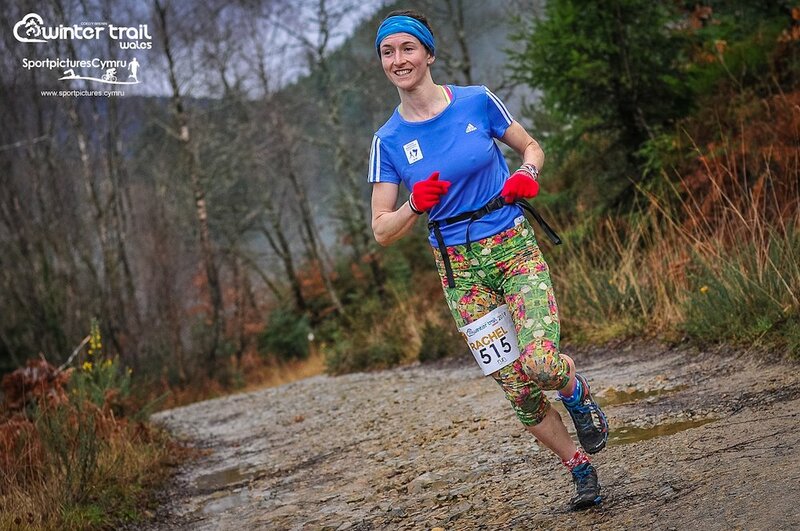 Mercia Fell Runner Rachel Parker was making her first trip to the Winter Trail. After some great performances in 2018, she was looking in determined mood as the race headed out, quickly establishing a lead over her rivals. 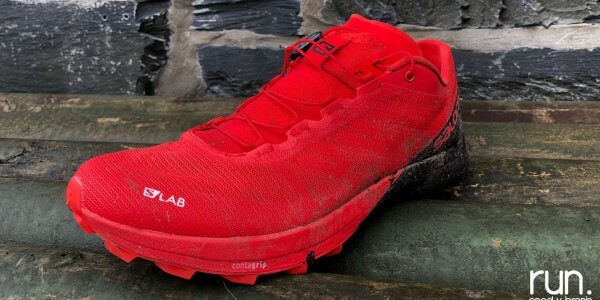 By mile 6 it was clear that Parker was now in total control, as she passed the first feed station with a lead of over 4 minutes over South Wales runner Dee Jolly. As the race progressed it was now more of a question as to whether Parker would challenge the 2016 women’s race record of 1:37:31, set by Gina Paletta. 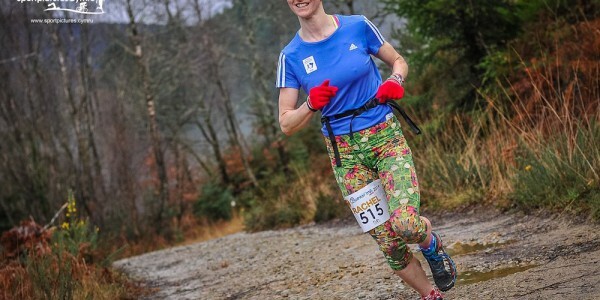 Behind Jolly, Pont y Pwl runner Faye Johnson was holding third place and looking set to challenge the Sarn Helen athlete as they neared the infamous Sting in the Tail at mile 11. Up ahead Parker was on her own, running so quickly that she was inside the top 15 places overall. 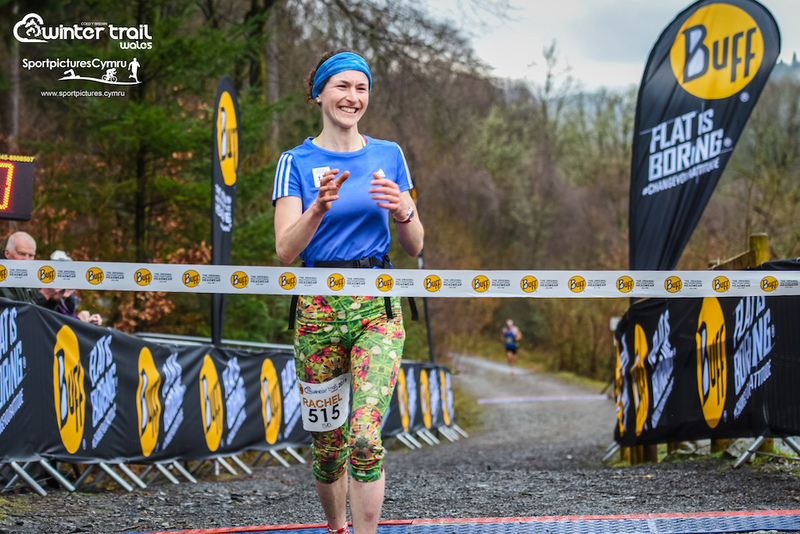 Heading into the last 1-mile section at the Coed y Brenin arena it was clear that her time was a special one, crossing the line in a fantastic 1:38:17, just 45 seconds off Welsh international Paletta’s record. Jolly held on strongly to take a brilliant second with Johnson continuing her great form of 2018 into 2019 to take third. 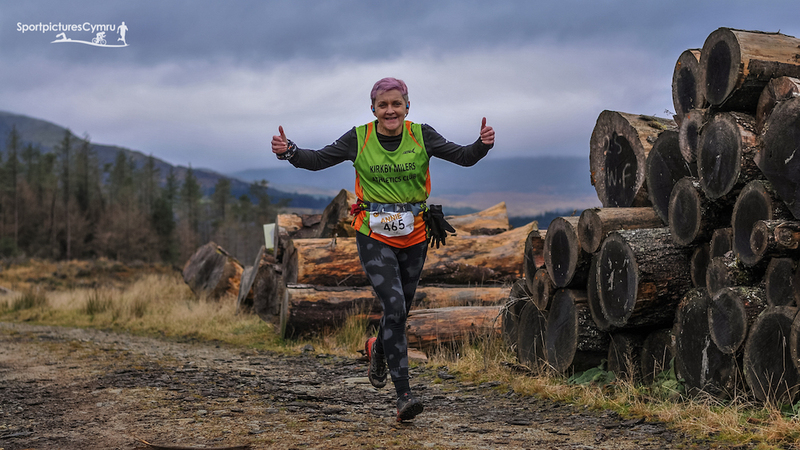 Within the event again in 2019 was a timed section of around 500m on one of the toughest sections of the race, the notorious Sting in the Tail. 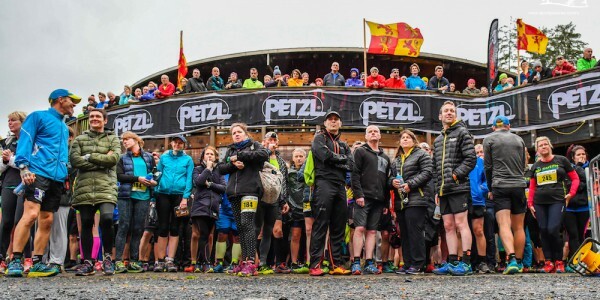 The Alan Lewis King and Queen of the Sting awards had been commissioned in memory of long-time Run Coed y Brenin events member and marshal Alan Lewis, who sadly passed away in 2017. It was simple – the fastest man and woman from the bottom to the top would take the prize. For the women it was Johnson taking her second victory, flying up the climb in 4:59, 10 seconds quicker than 2018. Rob Samuel underlined his dominance in the men’s event with a scintillating 4:09 on the Sting, using his wonderful climbing skills to good effect. 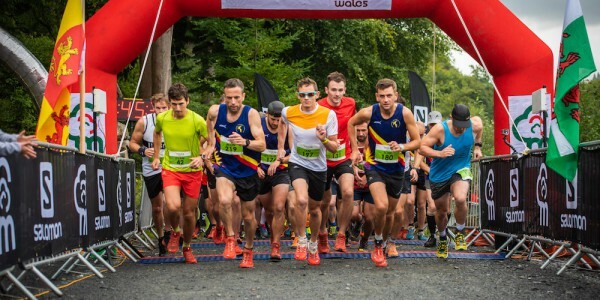 As the mere mortals made their way around this beautiful forest in their hundreds, the smiles were broad as runners from across the UK ran PBs on the course. “I’m always so humbled by this race. 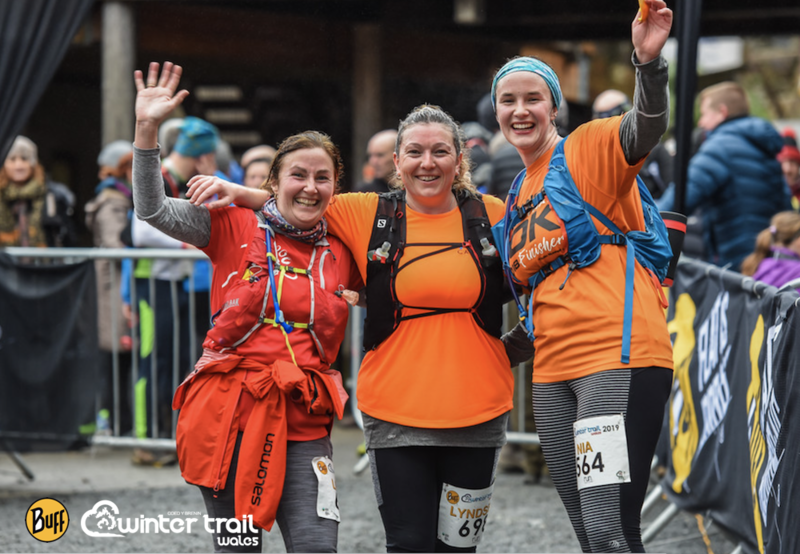 It’s at a time of year when people are just starting to emerge after the Christmas holidays, but I guess it’s a great kick-start to the season and the Winter Trail seems to have really caught the imagination of trail runners from all parts of the country. 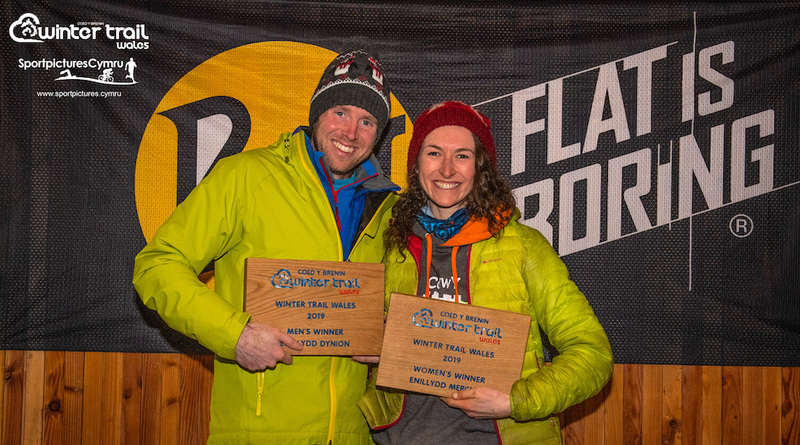 “As ever there was some great racing out there today, and the performances by Rachel and Rob were superb. A big congratulations to all of the runners, they were amazing, and the amount of smiling faces as they crossed the line was inspiring. 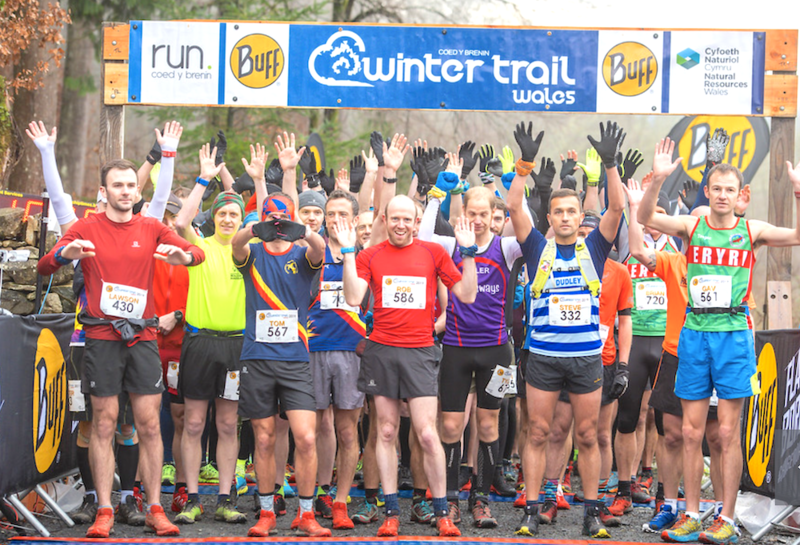 The 2020 Buff Winter Trail Wales race will take place on 18th January with entries live on October 1st, 2019.